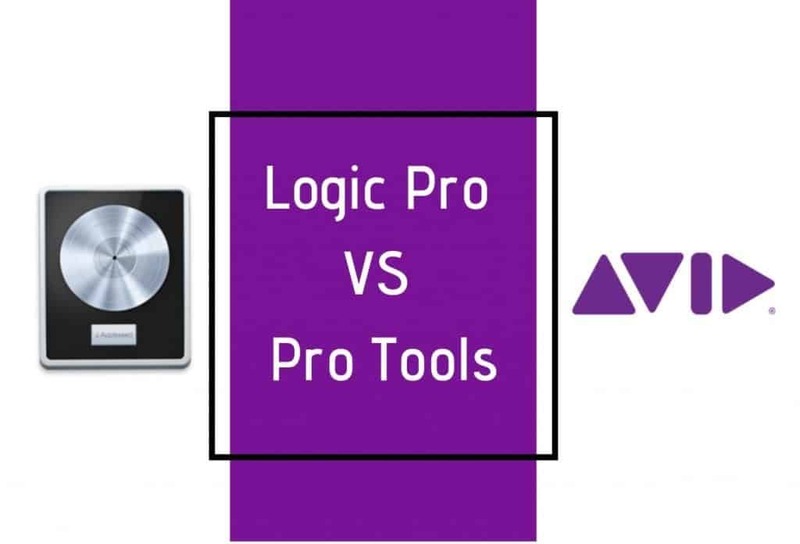 » Logic Pro vs Pro Tools – Which is the Best DAW for You? 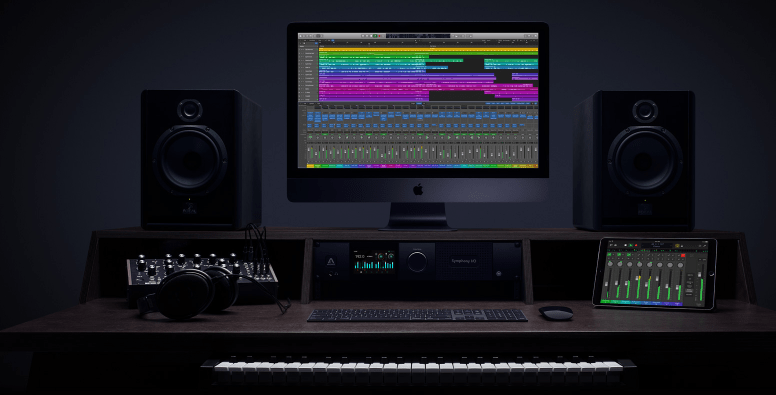 Logic Pro vs Pro Tools – Which is the Best DAW for You? As the DAW market continues to expand, and the tools available for home recording enthusiasts become more accessible, it’s easy to be overwhelmed by the number of options available. We’re here to try and help you with that. And today, we’re going to look at a couple of the long-standing stalwarts of digital music production: Logic Pro and Pro Tools. If you’ve been looking to invest in some software for recording music, you’ve unquestionably encountered these two names. Both do similar things, both have great respect in audio engineering circles, and both cross the line from hobbyist software into something a little bit more serious. As far as recording software goes, this is premium level stuff. It’s for people who need to know a little bit what they’re doing. So, let’s start looking at these two products in a bit more detail. The first version of Logic Pro was called Notator Logic, and it was released all the way back in 1993. It was developed by a company called C-Lab, who later became Emagic. The first five versions of Logic were available on both Mac and Windows. However, in 2002, Apple announced that they had bought the software, and starting with Logic 6, it would only be available on Mac OS. This, of course, annoyed the Windows users: it’s never been established how much business was lost over the matter, but sales of the Mac version have continued to increase. 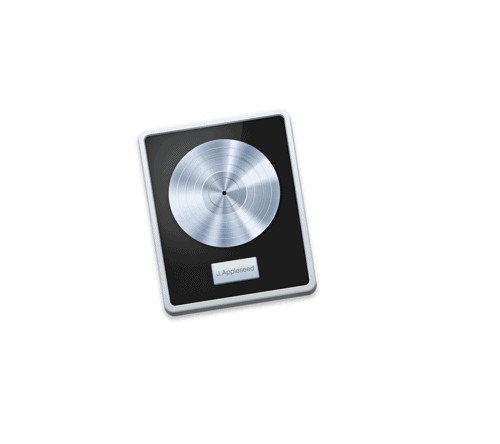 Logic Pro is now in its tenth edition, which they’ve called Logic Pro X, because Xs are cool. It’s come a long way from its starts a sequencer for Atari. Pro Tools is celebrating its 30th birthday this year, so happy birthday to you! 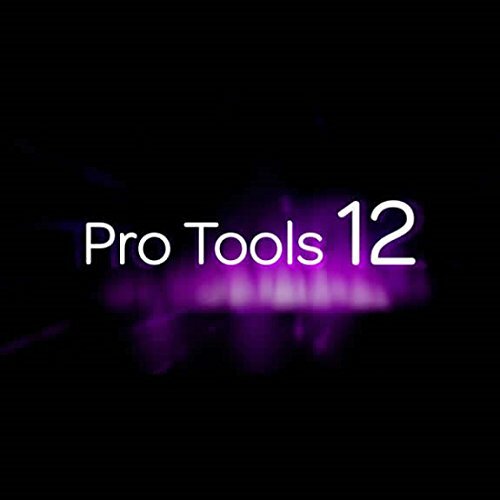 Pro Tool first appeared as Sound Designer, created by two Berkeley graduates in 1984. The following year – 1985 – they were offering downloadable features for the software. Remember… this was in 1985! 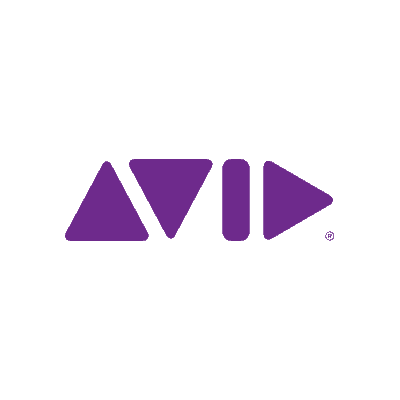 It became Sound Tools in 1989, and was renamed Pro Tools in 1991. That first Pro Tools cost a whopping $6,000! It’s hailed as the first digital multitrack recording software, which makes it funny to think that something that originally cost so much led to something you can now get online for free! One of its interesting claims to fame is that Ricky Martin’s Livin’ La Vida Loca was the first number one single to have been entirely recorded, edited, and mixed in Pro Tools. So that’s kind of cool, I guess? 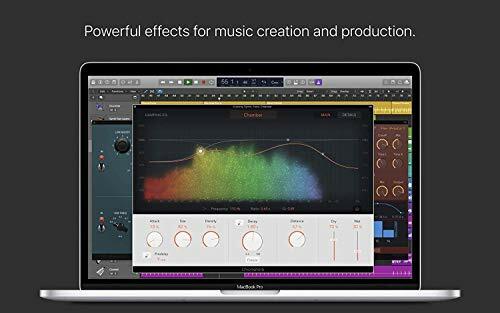 Logic Pro X is available for $199 as an app from the Mac App Store. And that’s that. There are no other pricing options. There were no discounts for individuals upgrading from the previous version, which is unusual in DAW version progression and pricing. There doesn’t seem to be any discounts for education or anything, another unusual aspect for commercial, high-end DAWs. You may have noticed that I only mentioned the Mac App Store? Yeah, Logic Pro isn’t available for Windows or Linux or anything. I’m sure I’ll return to that point a little later. There ends the discussion of Logic Pro’s pricing options. Pro tools have a little more variety on offer in terms of purchase options. Firstly, it’s available for both Mac and PC – double-ish the market potential, right off the bat. Secondly, similarly to many software packages, it has various price points to make it as accessible as possible to as many people as possible, with some variations on the features across each one. It currently runs a tiered, freemium pricing system. The first tier is totally free forever, but obviously has restrictions. The main one being that you can only record up to 16 tracks, it includes 23 plugins and includes 3.1 GB of sounds. The next tier up cost $24.92 per month. With that, you can record between 32 and 128 track of music in the sequencer, depending on the kHz settings. You also get up to 128 auxiliary tracks, and you can now play with video. Only one video, but it’s a start. The included sounds also gets bumped to 5.4 GB. That’s not an insignificant jump from the free version. And finally, the top tier. That’ll set you back $83.25 per month. Here, you can record up to 256 tracks in a project! Woah! I feel like that’s for orchestral arrangements, and maybe big choirs. It’s probably a bit unnecessary for your average Joe Schmoe home recording enthusiast, but, I guess it’s good to know that it’s there? If you’re a video enthusiast, this is probably the tier for you though, as it allows up to 64 video tracks. The main thing you’ll notice across the increasing tiers is the capacity of each one. In addition to the regular tiers, the creators of Pro Tools haven’t forgotten the world’s underfunded education sector, and offer a discounted range just for that. For the education version, if your budget will let you pay for it all upfront for a year, it’ll work out at $8.25 per month – that’s $99 for a whole year. Yeah, I know: all the home recording enthusiasts on a budget are now checking if their teacher friends can blag them this discounted version. If you need to convince your school’s budget holder of the value before they’ll commit to a year, you could try paying monthly for $9.99 per month, just for a month or two to demonstrate its value. And it may be difficult to get this last education option at your first proposal, but for $299, you’ll get a perpetual license to use Pro Tools for educational purposes. That means no annual renewals, and not asking for money every year. That’s a sweet deal. OK, these are primarily aimed at very serious home users, and professional producers, so either of these will do an awful lot… not all of it making for a particularly riveting read. It might be easier to run through what they both do, and then give specifics about what they highlight as their selling points? Flex Time: lets you move the form to the correct beat without having to cut the sample – that’s super-useful! So, as noted earlier, one of Pro Tools’ unique identifiers is that it has versions for both Windows and Mac. Again, I’m just leaving that statement there. I’m not getting into it. Now, looking for a comparable but unique list of features is tricky with Pro Tools, and I’m not sure if that’s because their marketing copy isn’t as sharp or what, but I’ll do what I can with what I’ve got. Here are the main things – and yes, there will be similarities to what you read in the last section. I’m actually not going to dwell on this one too much. Here’s the thing – and it goes for pretty much all of the different categories of computer software available – when you can use one DAW, you can pretty much use all of them. The processes and outputs are identical; it’s just a matter of figuring out what’s different in the user interfaces. In DAWs, particularly with Logic Pro and Pro Tools, the debate of which one is more usable is as contentious as debating Mac Vs PC. Not just contentious, but ultimately, kind of pointless. Both Logic Pro and Pro Tools are just as usable as each other, to the point where it’s not worth splitting into sections. Most producers will have started using one or the other, and just stick with it, I guess just for simple comfort with the familiar. I don’t think there’s anything unreasonable about that. However, it might be of use to speak to that usability. I would say that with either Logic Pro or Pro Tools, they both have an intimidating amount of features for a newbie. Where do you even start? A common complaint on Reddit on the matter is that even tutorials about either product are barely intelligible, and are too long. But, you’ve got to start somewhere if you want to be a professional someday. In this respect, I think just getting stuck in and making mistakes is the best way to get to grips with the usability of high-end DAWs that try and cram in a lot of functionality. If you get stuck, it’s highly unlikely that you’re the first person, so a solution is more than likely just a Google away. I’ve mentioned Mac Vs PC a few times throughout this review. It stands to reason that if you’re already a PC user, you won’t want to buy a whole new machine, so it stands to reason that you’ll go with Pro Tools. There. That’s your decision made, and now you can go with it. If you’re a Mac user, you likely enjoy the exclusivity of stuff that’s only available on the operating system, so you’ll probably lean towards Logic Pro. Congratulations. Both of you are using software that’s just as usable, and just as confusing to beginners, as the other is. Let’s all relax. Logic Pro is a slick piece of kit. Its general feel is that it’s aimed at Mac loyalists. Mostly because that’s the only platform it’s available on. The Smart Tempo is a cool feature, but, like many other pieces of digital innovation in music, it begs the question: does it reduce the skill required to be a good musician? Consistent timing is a key part of editing music: it’s impossible and infuriating to try it otherwise. To date, and with lower cost DAWs, you did achieve this on your records by having your drummer play along with a click track, and the rest of the band followed the drummer. That’s literally how making a record worked. The timing, and therefore the ease of editing was the drummer’s responsibility. Now, it seems like that doesn’t even matter anymore. Much like what AutoTune did with vocals. Just by the fact that it’s available for both Windows and Mac implies a lot more flexibility on Pro Tool’s part. Add in the tiered pricing approach that starts with a free version, and the fact that they offer discounts to schools and teachers, and it basically comes across as more appealing. In saying that, the flexible pricing doesn’t do anything in terms of its functionality: you’re not getting a dumbed down version, and you’ll still need a significant amount of time figuring it out if you’re starting from scratch. The free tier is useful though, especially for newbies, and it’ll certainly act as a gentle introduction to some of the more technical terminology in music production. Both Logic Pro and Pro Tools are essentially as good as it gets when it comes to DAWs and producing music on a computer. The automation, the plugins, the usability… all completely on a par with each other. That’s why so many hits today are created on one or the other. If you’re a total newbie, I’d recommend starting with Pro Tools. If you already have a Windows computer, you don’t have to buy a whole new machine, and, you can start yourself off with the free version so you can get a feel for digital music production, its processes, and its terminology. You can keep upgrading as you need, or as you can afford. 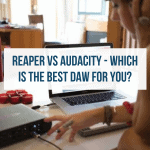 Reaper vs Audacity – Which is the best DAW for you? 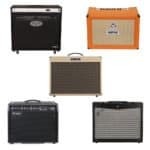 The Top 2×12 Speaker Cabinets for Guitar Players Who Want to Rock! The Best Jamstik Alternatives – Make Guitar Learning Fun!